HD Clear custom decorative window film is a very high definition film, as the name implicates. As a result, HD Clear turns windows into statement pieces that grab and hold people’s attention. Amazing graphics are the hallmark of HD Clear and what makes it a leader in the window film industry for color and clarity. They offer a huge variety of permanent and temporary film options–making them an attractive choice for anyone looking for a high-end graphic film solution. HD Clear works with something called PET or true, optically clear polyester film–a unique printing process which makes use of both CMYK, black and white inks. The ink is applied in layers and the resulting graphic is viewable from one or both sides. Many graphic films are not able to do that, making durable and glare-free HD Clear Film second to none. 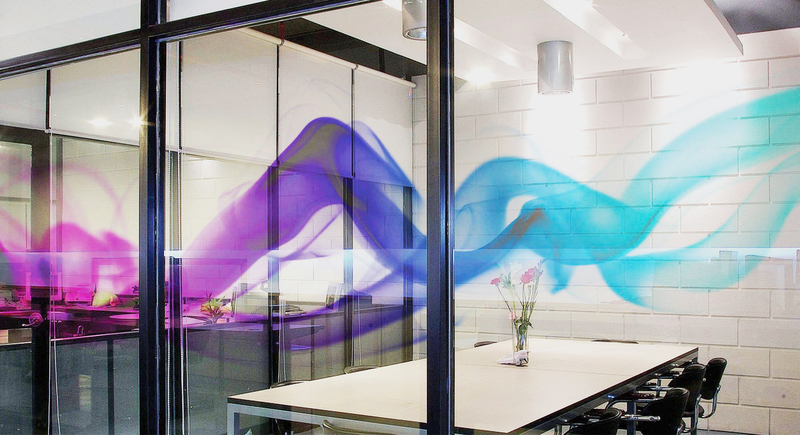 Engineered to outperform and outlast traditional vinyl graphic applications on flat glass surfaces–HD Clear is the right product for in the market for outstanding decorative window film. There simply are no other decorative films on the market with the versatility, strength, and selection of HD Clear Films. When looking for a bold decorative film that will turn heads and grab attention, while also outlasting traditional vinyl graphic applications, HD Clear Custom Decorative Window Film is the right choice.